This Kingwood outdoor kitchen is a great example of our work on outdoor kitchens. As you can see, our stone is only top of the line quality and we ensure it is stable and eye appealing when we set it. As with all of our outdoor kitchens, stainless steel appliances are always installed. We will never cut corners in our customers outdoor kitchens. Here at Houston Outdoor Kitchen Pros, we pride ourselves on the quality of our work and our customer’s satisfaction. Satisfaction is always 100% guaranteed! Our customers deserve & receive only the finest service and products. We use only the highest quality materials to ensure that our customer is always fully satisfied with their outdoor kitchen Kingwood TX project. Contact us today at (832) 409-3542 for a free quote on your outdoor kitchen! 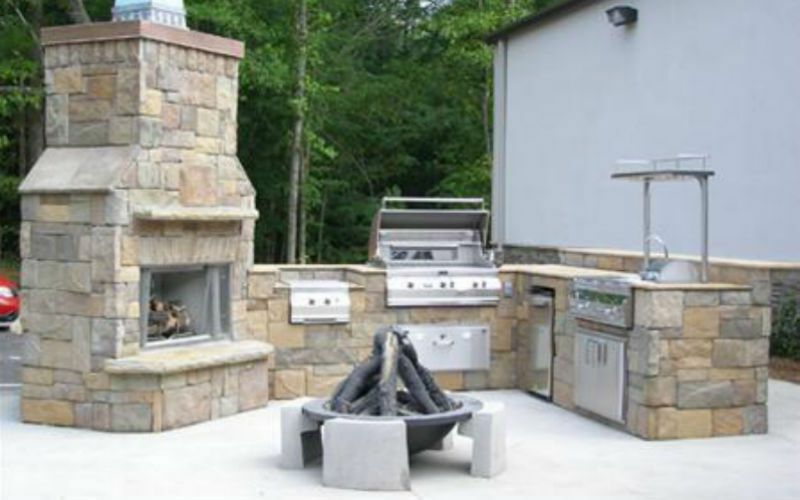 Call today to begin your outdoor kitchen!